This past weekend Justin, LJ, and I packed up the car and road tripped out to Virginia to spend Easter weekend with Justin’s family. Since they live so far away, we don’t get to see them as often as we’d like so it was wonderful to have lots of quality time together. I more or less unplugged from social media, which was also a nice change of pace. Today I thought I’d just share a few pictures from our weekend. Before we left on Friday morning, we stopped in at a local men’s salon for…LJ’s first official haircut! Insert all my mama emotions here. I love his wispy blond hair but it was just getting sooo long – it was getting in his eyes and was starting to look a little mullet-like so we decided it was time. The place we went was amazing! They had him sit on Justin’s lap and turned the little TV in the booth on to Paw Patrol so he was pretty mesmerized the whole time. He’s a little ticklish around the neck so there were a few flinches but the hairstylist was so patient with him and we’re really happy with the end result. Overall, LJ did way better than we expected! They gave him a little certificate for “graduating babyhood” with his first haircut. Beforehand, I’m not sure I would have said this was “the step” to no longer being a baby but afterwards I see where they’re coming from because he immediately looked SO. MUCH. OLDER. Justin and I could not get over how he looks like a full-fledged toddler now. A mega Easter Egg hunt! Justin’s brother’s church puts on a giant egg hunt for the community and there were SO many people there. Do you see all the people in the grass? This is just the 4 years and under hunt – it was crazy! LJ and his youngest cousin (bottom of the left picture) were more fascinated with the chaos happening around them and we really had to work to get them to focus on picking up an egg. It was pretty hilarious actually. By the time they caught on, the eggs were mostly gone. LJ got three eggs which honestly was two more than I was expecting him to get so overall it was a success. We also spent a ton of time outside. LJ was obsessed with the basketball hoop and we spent hours out there playing. It was so sweet to see him with our 6-year old nephew (middle picture) who is so sweet to him. They are the only boy cousins so far and they already have a special little bond. Can’t forget about our sweet 4-year-old niece who also loved playing with LJ. In this picture they are heading off to find the cat that is hiding along the edge of the woods. 😉 Since none of my siblings have children yet, these are LJ’s only cousins and I just love watching their little relationships blossom. Plus, I feel like this picture just captures something magical about spring evenings. My little growing family attended my husband’s home church on Sunday. It was extra special because my sister actually lives in the area and she was able to join our festivities! Easter Sunday is one of my absolute favorite days of the year. The music is always so worshipful and inspiring and I love celebrating the fact that Jesus not only died for our sins, but also rose again and we now have eternal life in Him. It brings me to tears every year! Easter always feels like the true kick-off to spring, so I’m excited for warmer weather, blooming flowers, and more and more time outside! Before I begin, thank you to all who have been praying for G, the student I shared about in Tuesday’s post. He is still in ICU, so please continue to pray! Thank you! One of my main goals, both in life and on this blog, is to keep things simple. So often we over-complicate things and make life more difficult, time-consuming, mentally draining, or stressful than it needs to be. Sure, some things are worth lots of extra time and effort, but most things can really be brought down a notch or two (or seven) and life can still flow smoothly. One thing I have really tried to keep simple is my diaper bag. I have a distinct memory from before I had children of a friend coming over to my house carrying her baby in the carseat, her purse was slung over her one shoulder, and her stuffed-to-the-brim diaper bag over the other. She waddled into my house bogged down with all this stuff and I thought “whoa, that looks so exhausting!” I started to look around at moms when I was out and about and noticed that my friend was not unusual; lots of moms were carrying multiple full bags on their shoulders or in their strollers and it just seemed like they had so much stuff with them at any given time. I decided that when my time came to use a diaper bag, I wanted to do things differently. If you’ve followed me for any length of time you know I’m very to-each-her-own around here. If you want to think through all the possibilities for what your child(ren) may or may not need while out and about and take it with you just to be safe, that’s totally your prerogative and I support you and have zero judgement! For me, I don’t want the weight of heavy bags yanking on my shoulders. I don’t want to have to dig around for several minutes just to find something at the very bottom of my bag. I don’t want to *think* I have something with me but really the bag is too full to easily locate it to be sure so I just leave my house and then when I need that item, come to find out it’s not actually in there at all. I want things to be simple, streamlined, and easy on my shoulders and back. I want to have what we need while out and about without carrying half my house everywhere I go. Each stage of LJ’s life has required different necessities. I’ve previously shared what was in my newborn diaper bag and then my infant diaper bag. 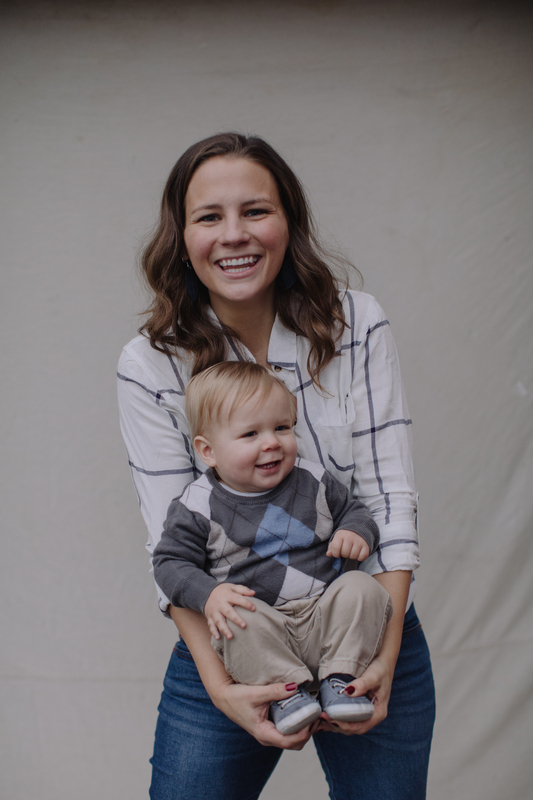 Today I wanted to share how I’ve updated what I carry now that LJ is a toddler. And I want to emphasize again: every baby and mama are different! This may not be the perfect diaper bag for anyone else but it is what works well for us! Check out this post to learn more about the diaper bag I use. I love its simple, clean look and minimal-ish use of space and pockets! I use the word “minimal-ish” to describe my bag and list of essentials because there are a few things included that aren’t really needs but sure do come in handy. I also link to a few items; I don’t get any compensation for this but just wanted to share products that have worked for us. The front compartment is still my “mom” compartment and this pocket really hasn’t changed much over time. I still keep the same items as before: my wallet, checkbook, 1-2 pens, headphones, chapstick, hand sanitizer, a snack, hair tie, gum, and a sunscreen stick for LJ and I. The back compartment remains exactly the same as before and is still used exclusively for diapering needs. I keep 4-5 diapers, wipes in my wipes clutch, a changing pad, diaper cream, and a diaper bag dispenser for super stinky ones. The main compartment is where the big changes happened. I do still carry a burp cloth because every now and then he will throw up (usually just if he’s straining hard to poop – TMI?) and it’s handy to have. I changed up the books/toys to be ones he is more into as an active toddler. I have a bib and a silicone placemat that we can put on a table at a restaurant so he could pick up food and not be touching the surface of the table. I also now carry around a spoon in a case which is super helpful. Also, there is nothing worse than a hangry toddler so I always carry around a variety of non-perishable snacks like food pouches, a dry snack in a container (goldfish, animal crackers, Cheerios, etc) and a straw sippy cup. In addition to these items, I still carry a muslin blanket and a flannel blanket (although once the weather warms up for good, I’ll probably nix the flannel blanket). I still roll my items and store them vertically so I can see almost everything at a glance and grab what I need without much rummaging. In the back pockets of this main compartment I keep the food pouches, spoon +case, bib, placemat, and a pacifier on a clip. You’ll notice I don’t carry around a change of clothes anymore. I honestly can’t even think of the last time he actually had a diaper blowout or ruined his clothes while we were out and about. The bib prevents most food spills and I’m not really worried about it if he gets dirty while playing outside. It just felt like a waste of space to carry around extra clothes that literally never got used. Once we start potty training and expect accidents, of course I’ll start carrying extras again. But for now, it makes sense to use the space for other things. I try to regularly check the diaper bag at home to make sure it’s ready to go. Having extra space in the diaper bag means there is room for other things to get put in there (such as an item we bought while out and about or maybe LJ’s sweatshirt we took off or something). I try to leave the house with the diaper bag back to ‘baseline’ if possible. When I check the bag, I also check the diaper compartment. I try to always have at least 4-5 diapers and plenty of wipes so we never have an “oh no!” moment when out and about and we realize we’re out of these crucial things. I love my wipes clutch because I can easily and quickly add more wipes at home. When the bag is back to ‘baseline’ and ready to go, I store it in the same spot in our kitchen. That way I know I can grab it on the way out the door and not have to worry that I might not have everything I need. For me, taking less has actually helped reduce stress because I have everything I need and can access it quickly and efficiently without sifting through a lot of extra stuff. The last picture shows that I can really see everything in one quick glance and grab what I’m looking for easily. If you have an toddler and feel like you’re carrying around half of his or her earthly belongings every time you leave the house, I hope this post gave you a few times for simplifying the diaper bag! I had a different blog post planned for today, but this morning I woke up to a text from a former co-worker that flipped my day upside down before it had even begun. For those who don’t know, I am a former special education teacher. I taught for 6 years in 3 different schools (we moved a lot!) and loved it. I started this blog partly as a way to share teacher outfits and classroom projects & activities which you can find under my “Teach” menu in the archives. Even though I love staying at home with my son now, teaching remains a passion of mine and I miss getting to work with my students. My co-worker reached out to me because she realized I give up Facebook for Lent and hadn’t heard the news: a former student of mine has recently been diagnosed with stage 4 malignant astrocytoma, a form of brain cancer. Yesterday he suffered a pulmonary embolism and is in critical condition. I had him in 6th & 7th grade but he is now 16 years old and a sophomore. To say my heart is broken is an understatement. I truly mean it when I say that all the students I’ve had on my caseload through the years have a special place in my heart, but some students just stick with you a little more. He is one of those. Whenever he pops up in my mind I smile and look back on our struggles and triumphs with great fondness. We came a long way in two years and when Justin and I had to pack up and move to Indiana, it was hard for me to know I wouldn’t get to see him go all the way through middle school. I am completely devastated to hear about his cancer and will be spending much of today lifting him up in prayer. For the sake of privacy, I will not disclose his name in this space but I will tell you his first initial is G. My hope is that you would join me in prayer today for “G” and his family – prayers for miraculous healing for G and prayers for comfort and strength for his family. Yesterday we hit the 20 week milestone and I was singing Bon Jovi pretty much all day long (“oooooooooooh halfway there….”). This pregnancy seems to be going so much faster than LJ’s and I think it is because I’m now busy spending my days chasing around after a toddler. I’ll take it though – I can’t wait to meet this baby! 20 weeks seemed like a good time to have another blog post with a few updates on how the pregnancy is going. If you’re curious about how the first trimester went, you can check out my blog post about it here. I always say this part is the “sweet spot” of pregnancy. My nausea is finally gone (it lasted until about 15 weeks) and my fatigue has diminished. I feel great, I have energy, and I don’t feel like puking all the time, but I’m not swollen and uncomfortable yet. Sweet spot! The second trimester brings an energy boost for me, and I’ve been taking full advantage. I’ve recovered from my knee injury from several weeks ago so I’m back to my normal level of functioning and I’m back at it with regular Expecting and Empowered at-home workouts. I also attend a weekly cycling class at the local YMCA which is a great cardio boost. We’ve also been experiencing nice weather lately and LJ and I have spent a lot of time playing outside or going for long walks, so I feel like I’m incorporating a lot of movement into my days. Exercise gives me more energy and it’s a great cycle to get into: I have more energy in the second trimester, so I’m moving/exercising more, which gives me even more energy, etc. It’s a big reason why I’m feeling great these days! I haven’t had many aversions this time around and there is no one food that I’m not able to handle right now. I do crave sweet and salty things and I’ve worked to curb some of my sugary cravings. I definitely don’t deprive myself, but I’m trying to be conscious of making the “better” choice. For example, if I’m craving a little something sweet, I might drink a glass of Naked fruit juice instead of eating a piece of chocolate. I also find myself to be hungry quite often so snacks are key for me! I honestly start to feel pretty awful if I go more than 2 hours without a little something. I keep things like string cheese, clementines, Rx nut butter packs, etc. on hand at home and make sure to always have a granola bar in the diaper bag when I leave the house. It helps tremendously! I have really been trying to get lots of sleep at night, but I do have difficulty getting comfortable. My trusty Snoogle helps a lot but there are still nights where I toss and turn, and I’m getting to the point where I often wake up and need to go to the bathroom. Sigh. Overall, I feel like most nights I get a good amount of sleep and I wake up feeling refreshed. I can feel tiny little baby kicks now and it’s just the sweetest thing, but I’m looking forward to when Justin can feel them too! If I *had* to make a guess, I would guess another boy, but that’s mostly just because I don’t have any marked differences between this pregnancy and when I was pregnant with LJ. I went to my 20 week anatomy ultrasound on Tuesday and the tech did a great job of not revealing anything so I remain clueless with the gender. I am so excited for either possibility and I can’t wait to meet this little boy or girl in a few more months! Oh my gosh. So Justin and I have been working with LJ on body parts (where’s your nose, where’s your feet, etc) and we started asking LJ “where’s the baby?” and he will now pat my stomach to show where the baby is. It is the cutest thing and it makes me want to ask him where the baby is all the time. Now, does he actually get what that means? No. Does it still melt my mama heart every time? Sure does! I’m not sure if I’ve mentioned her on my blog before, but I really enjoy following @ameskiefer. She’s a fellow blogger, mama and co-founder of my workout regimen Expecting and Empowered and bonus, she is also currently pregnant. She has a very motivational and down-to-earth platform and I especially love her Instagram. So one thing she talks about frequently is how she never weighs herself during pregnancy except for at OB appointments and instead focuses on what she eats, her exercise, sleep, how she feels, etc to gauge her health. I love this and have adopted this mentality this pregnancy and it has been incredibly freeing. Weight gain is just one aspect of pregnancy and while you don’t want to just go crazy (you’re not really eating for two, you’re eating for one adult and one very tiny human), it’s not worth obsessing over the number on a scale. I gained way more than I expected with LJ, but I had a healthy pregnancy, he had a healthy birth weight, and I was back to my pre-pregnancy size in less than six months. There was no need for me to freak out just because my goal was to gain 25 pounds and I gained 45. So this time around, I’ve decided not to keep track of it and I don’t even really look at OB appointments. I feel so much better just focusing on eating, sleeping, and exercising and as long as my OB-GYN is happy, I’m happy. I feel like once I hit 20 weeks things always start to feel a little more “real” – the bump is out, I feel baby kicks, random strangers start to notice I’m pregnant. It’s fun to feel the anticipation build and I’m looking forward to the next 20 weeks! Author SarahPosted on April 11, 2019 Categories pregnancyTags 20 weeks pregnant, baby, baby #2, Baby bump, mama, pregnancy, pregnantLeave a comment on 20 Week Baby Update! This week has an extra blog post because I’m once again linking up with Shay and Erika for their monthly “Let’s Look” post. These posts are always a fun way to look at a little piece of life (past months have discussed cozy spots, favorite books, and family) and this month’s topic is something I honestly never in a million years thought I would blog about. So let’s look at . . . my pantry! Yep, today’s topic is all about pantries and so I’m going to share a little peek into mine. Our pantry is conveniently located between our fridge and laundry room entrance. I keep my aprons on a hook on the inside of the door for easy access when I’m baking. I read a book last year that was trying to help women simplify and organize their lives, and the author encouraged the reader to not worry about pretty labels, matching containers, making your pantry all look amazing . . . and yet the picture on the very next page was a picture of gorgeous open shelving with pretty labels, matching containers, and neat little bins that had just the right amount of matching food stored in it. I mean, I’m all for pretty pantries (and if that’s your thing, absolutely go for it! ), but talk about mixed messages from the book! This is one instance where I take to heart something frequently mentioned on the “Happier” podcast: don’t let the perfect be the enemy of the good. My pantry could be prettier and probably better organized, but really the space just needs to help me get through the day and feed my family with as little stress and frustration as possible. Things need to be easy to find and access, so I make that happen as best I can with the space I have and don’t stress further over the space. Today you’re getting my a glimpse at my very practical, functional, and un-Pinterest-like pantry. This is my unfiltered, real life storage solution and I’m going to take you through shelf by shelf. The bottom two shelves are pretty unexciting. The very bottom is where I keep extra canned goods and large bulk items that don’t fit anywhere else, as well as small tote bages and lunch boxes. The next shelf up is where I keep paper products: plates, cups, napkins, extra food storage containers for taking food to friends, etc. Also I have syrup and flour here because that’s where they fit right now – ha! The next shelf up is basically divided in thirds. The left side is all LJ’s food: applesauce pouches, freeze dried fruit, little bars he likes, basically any of his snacks. The middle container holds snacks for Justin and I: extra granola bars, chips, Rx butter, etc and we keep fruit snacks, popcorn, and bread here too. The far right stores grains: rice, quinoa, couscous, etc. The next shelf is right at my eye level and stores the most frequently used items. We keep all our nut butters, crackers, granola bars, cereal, and oatmeal right in front because I’m reaching for those items almost daily. Behind all these items I have inserted a small shelf and I keep small items like honey and infrequently used spices on top and canned goods like soups and beans underneath. The right side holds all our things like mac and cheese, various pasta noodles, and sauces. The next shelf holds all my baking items. Most frequently used items like oils and oats are in front, and less frequent items like specialty flours and other powders are stored behind on a turntable. The turntable is a must because the shelf is slightly above my eye level so the easiest way to reach things in the back is just turn the table and they come forward to within my reach. This also keeps things from just getting shoved in the back and forgotten about. I do have to keep flour, sugar, and brown sugar in containers along the right side which is a little annoying because I have to take a lot of the other things out to reach the flour in back, but it’s really the only way everything fits and I just deal with it. The very top shelf holds all our bagged snacks like goldfish, pita chips, tortilla chips, etc. Behind the bags I’ve inserted another shelf; on top are extras of items we frequently go through like ketchup and applesauce and beneath I keep all my mom’s yummy homemade salsa. I do have to use a little step ladder that I store nearby to reach the items behind the bags when it’s time for more olive oil or whatever. And that’s my pantry! Not the most glamorous space in the house, but it’s perfectly functional and does its job well. If I could wave a magic wand and change the way the shelves were laid out, I would make them longer and not as deep so I don’t have to remove items to reach stuff in back, but I’m happy with how we make do with what we have. Are there any great tricks you use when organizing your pantry? It’s time for my favorite post of the month – my book reviews! I read four books this month and they’re kind of all over the place. Two non-fiction and two fiction. One memoir and one self-help-ish. One about a plane crash and one that crashed in other ways for me. It was a fun mix of reads! Let’s dive in! It’s no secret that I love Gretchen Rubin so I’ve been anxiously awaiting her new book for months. It finally came out in March and I snapped up a copy (you know I’m excited when I actually buy the book instead of check out from the library) and flew through it. 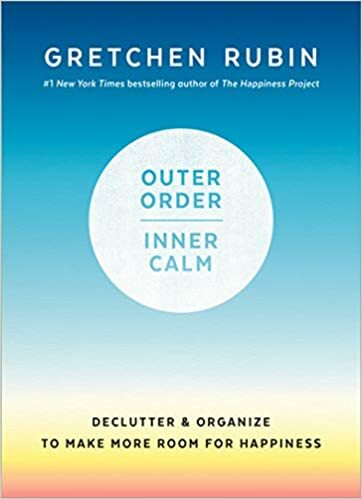 This is a very quick read chuck full of inspiration for making small choices and changes towards clearing clutter to make more room in your life for order, calm, and happiness. In other words, pretty much all my favorite things in one place. 🙂 I started off underlining little nuggets of wisdom that particularly spoke to me, but I quickly realized that I would be underlining most of the book so I had to stop. It was just full of tips, tricks, and smart little hacks. I’ll stop gushing now because I think my inner nerd is showing (ha! ), but I really loved this book and will likely incorporate it into a full blog post at some point in the future. I highly recommend it if you need a little push in the right direction to make changes, big or small, towards a less cluttered life. I happened to see this book on the shelf as I was checking out at the library and it peaked my interest but I had a lot of books already so I didn’t check it out. Then on another trip, I saw it again on a different shelf and took that as a sign I should read it. I’ll be honest, this book did not meet my expectations. 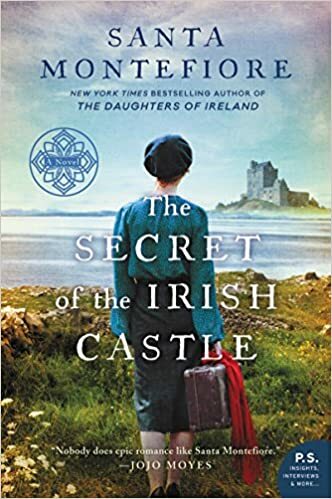 It really seemed like it was going to be my jam: historical fiction, WWII Europe, family secrets and mysteries, what’s not to love? The Amazon blub even raves that it is “perfect for fans of Kate Morton and Beatriz Williams” and I adore both authors. So I was pretty disappointed when about 70 pages in I kind of just wanted to quit reading. This story just fell flat for me. There are SO many characters and plotlines and it feels really soap opera-y and hard to keep track of. I did find out afterwards that it’s part of a series, so maybe it wouldn’t have seemed so overwhelming and confusing if I had read the other books too? I don’t know. I kept reading because one storyline did interest me and I wanted to see how that particular one turned out. Overall, I felt like this book was just okay, but I really don’t have any interest in reading the rest of the series. I started this book because it was the first chosen book of the Happier Podcast book club and I was instantly intrigued. 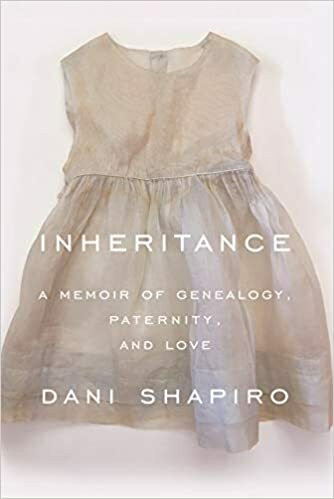 The author takes a DNA test without thinking much about it and is rocked to her core to find out that the father who raised her was not actually her biological father. Since both of her parents are deceased, she begins a journey of research and discovery to find out as much as she can about the truth of her origin. Her memoir is poignant and thought-provoking and touches on the deeply held beliefs we hold about ourselves. I could not stop talking to Justin about it as I was reading, and I’ve brought it up in several other conversations with other people since. It was just absolutely fascinating and I think it would make an excellent book club read! Highly recommend! I wouldn’t say I have a fear of flying but I definitely have increased anxiety on planes so a book about a plane crash is not exactly my normal pick. I enjoyed this one though! 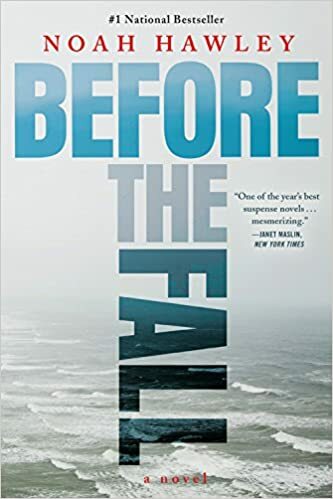 The plane crash actually happens very early on in the book and the rest of the story jumps back and forth between the lives of the victims before the crash and the present day where a team of agents try to unravel the mystery of why the plane crashed. A media circus forms around the two survivors of the crash: a four-year-old boy who is now worth millions and a man who swam them both to safety. Controversies and theories form about the man who was an unexpected passenger in the first place and he alternates between victim and suspect throughout. This book is part mystery, part thriller and I got really into it! There are some characters you root for, some you despise, and there were enough surprises to keep me guessing until the end. Overall, this was a good read! That’s a wrap on my March reads. What is on your reading list this month?